The realm of digital media and social media is being taken up by storm by some of the leading social media application providers like Facebook, Instagram and Snapchat to name a few. Moreover, these brands helps to maintain an online presence and helps in narrowing down the communication across the world to a computer on your table. These social media apps also brings out the concept of virtual presence and reputation and image across the world which develops if recommended or guaranteed by these social media applications. They also promote customer satisfaction, brand value and reliability of a product or personality thereby increasing their potential value in the market and also providing greater chances of expansion into the global market by means of efficient communication and connection across the global trade routes and market. Companies substituting a Facebook profile instead of a plain CV thus monitoring the online presence related to virtual world. These pages leads to promotion and creation of brand value and most of these apps also provide monetary benefits for upkeeping such pages. These Facebook profiles also acts as the easiest mode of communication among the public and simplest way to pull crowd. Due to the above reasons it is most pertinent to check what is being uploaded in the social media and not be guided by any kinds of fake news and thus it is very important to verify Facebook page before blindly following the contents of its page. These directions not only build consumer awareness but also helps to curb fake news, duplicated pages and thereby gives a sense of assurance and quality to the users that an established company such as Facebook gives recommendation to a page and thus showcases the bonafide intention of the Facebook profile holder. Why is it necessary to verify Facebook page? A Facebook page is not just a source of information but it also the source of a lot of online content and add on to the reliability and trust of the consumer. Thus it is very important to check and cross check the contents of the page and the easiest mode to abide by such verification is to check for a blue or grey tick next to the page which is an essential inbuilt quality check sign provided by Facebook. There may also be instances of cyber bullying and the added burden of fake Facebook profiles and pages has mislead many youth into dangerous instances of cyber bullying, stalking and other forms of online harassment which are punishable under the law. We hope, now you understand how important it is to verify Facebook page! Verification of personal Facebook page or profile. 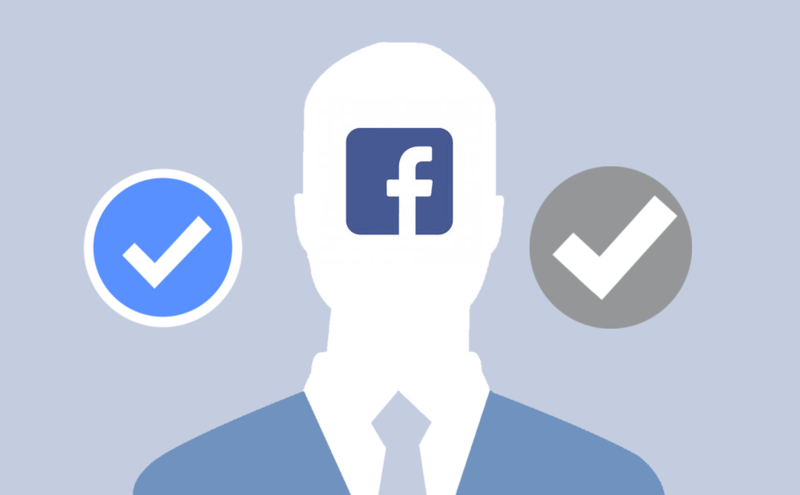 Verification of a business Facebook page or profile. Verification of a non-famous Facebook page or profile. The easiest and most efficient way to get a Facebook page verified is to obtain a Grey or Blue tick from Facebook itself by sending them such a verification request. How to get the blue or grey badge? Any Popular Brands or Businesses. All kinds of Government Officials. How to verify Facebook Account / Page? 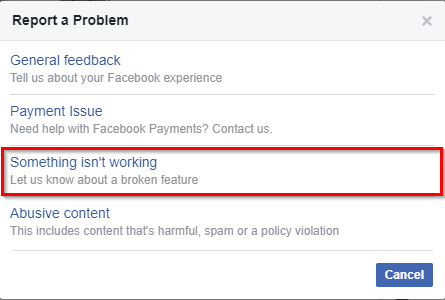 After the above process is completed, the user must verify the Facebook Account and thereby get it confirmed from Facebook itself. The profile or the page must have very high quality of professional content and must also provide overall brand value contentment and feel with cohesive data. Link this Facebook page or profile with your official website. Different kinds of basic information boxes will appear on your Facebook page and you must provide all these data in a comprehensive manner in order to avoid customer confusion and provide accurate information like phone number, awards and ratings etc. 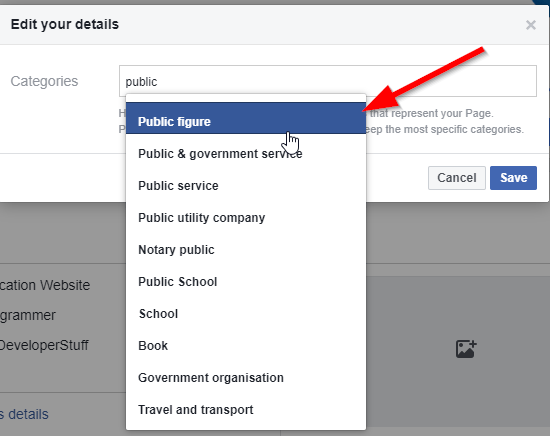 Now make your Facebook profile as public in default and make sure that you have around 500 followers before requesting a blue or grey tick. Now click on the blue question mark icon at the top right-hand corner of your page. 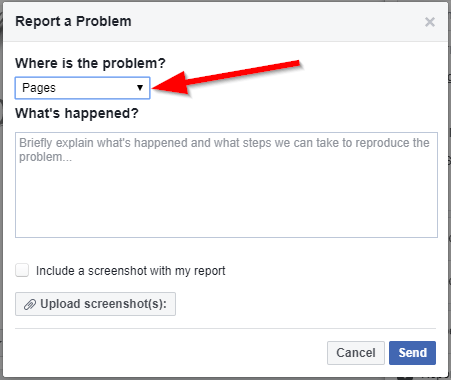 Now select the option Report a Problem > Something Isn’t Working. Now you must provide compelling reasons as to why you must get the blue or grey tick and thereby provide the links of your previous work or your website link. Now you should upload valid Government Ids and also provide screenshots in the Upload Screenshot Section of the page. Now you must wait for 2-7 days to get a reply from Facebook. How to verify Facebook account with Blue Tick? After following the above procedure to send the blue or grey tick request, it is very important to be sure that the Facebook request is accessed. For a grey badge, it normally takes around 48 hours to verify it and thus get a reply from Facebook. Accordingly, for a Blue tick it may take around 2-7 days to get a reply and approval from Facebook and thus it is of utmost importance to keep a tab on the activities of your support inbox. How to get a Blue tick on Facebook without being famous? There are high chances of getting a page verified if the user belongs to any of the above category. But if the user is not a part of this then he may try the following option. 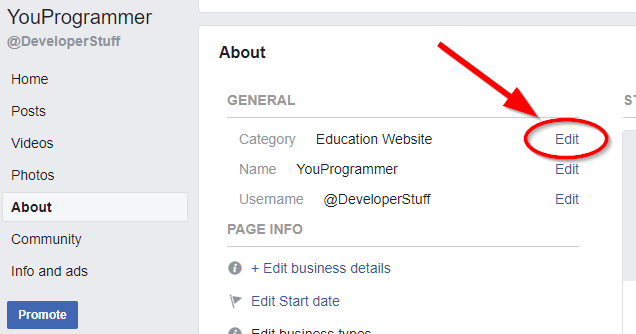 Change the Personal Page to a Public Page. Do so by going to About and then click on the Category. Now select on the “Public Figure” Option and hit Save. Thus this mechanism is just like a cheat diet and you just hope that based on the reasons stated Facebook takes into account your credibility and thereby assign you a blue or grey tick. You do not have enough social media advertisement or press. You also do not have a Wikipedia page which is generally checked first by Facebook. The reason written by you was not compelling enough. The screenshot of the ID provided may be blur. You must prove your popularity first and thereby pass through the strict scrutiny of Facebook team. Also the link provided must be active and functioning and it must not be a dead link. Boosts the credibility of the business or the brand and creates customer trust and satisfaction. Clients can easily develop a persona based on your social media presence and thus providing an added impetus to your business over others. Moreover the marked pages will come at the first in the top searches in Facebook and Google search pages. Most of the time these features are not available for free and you have to pay for them. There may be additional costs involved with the promotion and creation of brand value in the social media and virtual world. Thus the task becomes cumbersome and strenuous and even after all this if Facebook declines such request then a lot of risk would have been already taken without any fruitful gain. Thus the social media presence and its changing demands not only puts a pressure on the users to maintain a social media account but it also puts an added pressure to maintain and promote such pages so that other people may get to know about their work. Moreover the recent trends in the growth of piracy and online copying has made the consumer cautious and thus this is an excellent mode for the consumers to be sure of their assets and investments at the right places and this need makes it necessary for a consumer to verify Facebook page.